Folks in fracking country Pennsylvania work on air pollution issues. Kentucky college students are having a blast- with some mine research. America’s Test Kitchen has an Appalachian connection. And we learn about the famed Fairfax Stone. Fracking Air Pollution: The debate over natural gas drilling in Pennsylvania has turned small rural communities into battlegrounds where "fracktivists" clash with industry and neighbors with neighbors. Debates in fracking communities have mostly focused on issues like noise, traffic, groundwater pollution and the chemicals used in the process. But a small group of residents in Susquehanna County Pa. is leaving that debate behind in an attempt to do something tangible for their community. As StateImpact Pennsylvania’s Katie Colaneri reports, their efforts are focused on air quality. Mountain Stage: 30 years ago, in 1983, West Virginia Public Radio started a little live radio show called Mountain Stage. The two hour show is now carried on radio stations worldwide, has featured notable artists from around the globe, becoming an ambassador of sorts for Appalachia. West Virginia Public Radio’s Dave Mistich has more in this segment from his hour-long documentary commemorating Mountain Stage’s thirtieth anniversary. America’s Test Kitchen: The centerpiece of any Thanksgiving is the food, and for many that means turkey, stuffing, mashed potatoes, green beans, pumpkin pie and Jello salad. The cooks at America's Test Kitchen are always looking for better ways to prepare traditional meals, and one of them is a West Virginia native. Bridget Lancaster was born and raised in Cross Lanes, just outside of Charleston. She's been testing recipes in the company's kitchen in Boston since 1998. Now she is one of the stars of America's Test Kitchen and Cook's Country Television Show seen on PBS. She spoke to West Virginia Public Radio’s Beth Vorhees from WGBH in Boston about her journey from Nitro High School to America's Test Kitchen. Fairfax Stone: Most West Virginians and Marylanders aren’t aware they share one of the most famously contested state borders in the country. If you’re driving along US Rte. 219 in Tucker Co, West Virginia, near the Maryland line, you’re bound to pass by the turnoff for the Fairfax Stone Historical Monument State Park, which lies at the origin of this controversy. The Garrett County, Maryland-Preston County, West Virginia boundary line was such a controversial issue that the dispute was taken all the way to the Supreme Court, which had to make the final decision on the border in 1910. As Dan Schultz of Traveling 219 reports, the West Virginia Surveyors Historical Society has been conducting a number of new surveys in the past two years, uncovering some of the lost history that played an important role in the landmark case between the two states. 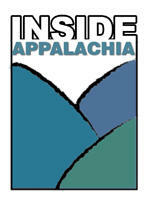 The Appalachian Regional Commission aims to grow entrepreneurship. The Gulf Coast provides a hint at what good, and bad, can come from a cracker plant planned for Pennsylvania. A look at just what goes into making Tennessee moonshine. And one West Virginia man tackles the problem of profound poverty. Have you ever wondered how Mountain Stage got started? Retrace the show's history Thursday (Thanksgiving) night at 8:00 p.m., when Mountain Stage at 30: A Radio Retrospective premieres on West Virginia Public Radio. Listen to a preview of how Larry Groce, Andy Ridenour and Francis Fisher helped start this West Virginia tradition and how they've keep the show going strong for 30 years. Fifty years ago Friday, President John F. Kennedy was assassinated in Dallas. The killing shocked the nation and world and, to this day, people still talk about it. Many West Virginians are remembering where they were the day the President was killed. The West Virginians who are remembering that day include Mountain Stage host Larry Groce, who was living near Dallas at the time. Others who share their memories include: Maura Brackett, who worked in the White House, and a Princeton man who served as a local campaign manager for Kennedy during the 1960 campaign.